Domestic assault and battery is considered a serious criminal offense in Fairfax County, VA. Domestic assault and battery is a specific form of standard assault and battery, which falls under VA. Code 18.2-57. In order for assault to occur, and individual must threaten harm against another with a present and imminent ability to act on that threat. Battery occurs when an individual carries out the given threat and harms another. Common battery actions in domestic assault and battery cases include but are not limited to slapping, beating, spanking, pushing, hitting, or punching. When an individual performs these actions against a family member, household member, or romantic partner, the charge becomes domestic assault and battery. If you’ve been charged with domestic assault and battery in Fairfax County, VA, it’s important that you don’t take the charge and possible consequences lightly. You must understand the penalties for the offense as well as your legal rights so that you can prepare to defend against the charge in court. A domestic assault and battery charge, while serious, does not have to mean your entire life is over if you are bolstered with an exceptional legal defense. In Fairfax County, VA, a domestic assault charge usually involves jail time and a hefty fine. Domestic assault and battery, VA. Code 18.2-57.2, is considered a class 1 misdemeanor with up to 12 months in jail and a $2,500 fine. The circumstances of the domestic assault and battery case may deem a more extreme charge. For example, strangulation, under VA. Code 18.2-51.6, is considered a class 6 felony and can give you up to 5 years in jail and a $2,500 fine. If your case involves strangulation, you’re looking at a more serious charge and a tougher court battle ahead of you. In any case, the penalties for assault and battery are significant, and having an assault and battery charge on your record can lead to challenges even after your time is served, such as difficulty finding jobs or housing. Having a domestic assault and battery charge on your record can have additional consequences, such as a loss of your guardian status or an inability to adopt a child. In Fairfax County, VA, each offense has different circumstances and penalties associated with it. It is important that you understand what charge your case falls under so you can be better prepared for court. Depending on the circumstances of the domestic assault and battery offense, you may be able to fight the charges in court. Having a strong defense can lead to your charges being dismissed, or your jailtime and/or fine being reduced. You might be able to prove the incident was justified, such as if you committed the act in self-defense or to prevent the victim from hurting someone else. Whatever the circumstances of your case, if you’ve been charged with assault and battery and need legal advice or defense, it’s important that you hire the best legal defense possible. At Dua Law Firm, our lawyers will pour over every detail of your domestic assault and battery case and organize the strongest defense they can. We are dedicated to protecting your legal rights and working to give you the most desirable outcome in court. Call Raj Dua at (703) 382-7300 or email rdua@dualawfirm.com for a free consultation. We’re Here To Help With Any Traffic, Divorce, Criminal or Estate Planning Matter. We know how important it is to get an attorney on the case right away, so we are available via phone and e-mail 24/7 and offer a free initial consultation. Please do not hesitate to contact us today. I have never needed a lawyer before and did not know what to expect. Raj was able to answer all of my questions and explain to me what to expect and how he intended to help. He responded to e-mails promptly and was efficient and friendly throughout our interactions. He kept me up to speed with everything and was able to effectively execute his plan. I would definitely recommend him to anyone requiring representation and would work with him again if it was required. 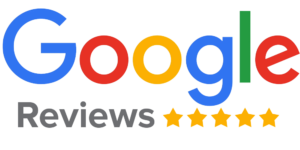 Raj did a phenomenal job with my reckless driving case... After doing my research, reading all the reviews, talking to couple of other lawyers, I decided to go with Raj. and I am so so so thankful I did. Not only he is professional and knows what he is doing, he is a very kind human being which I did not sense when talking to other lawyers. He works his best to get you the best outcome. He constantly assures you and calms you that it will be okay and keeps you posted throughout the process. Not to mention he is reasonably affordable compared to other lawyers who has half the experience Raj has, and he is reachable by cellphone, he also returns calls and emails in a swift manner, so you don't have to talk to assistants and secretaries. Communication with him was very easy. Raj is a fantastic lawyer with excellent customer service skills (a rare mix for lawyers in my experience). He was very knowledgeable, personable, efficient, and professional. I was very at ease with my decision to retain his services. Throughout my time working with him, he was always courteous and was very efficient with his and my time. In the end, Raj achieved the result I wanted despite very difficult odds. I strongly recommend Raj’s services!